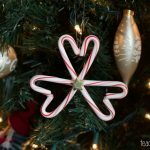 ‘Tis the season for candy canes! I am eager to share with you a new sensory play activity we came up with for the holiday season! 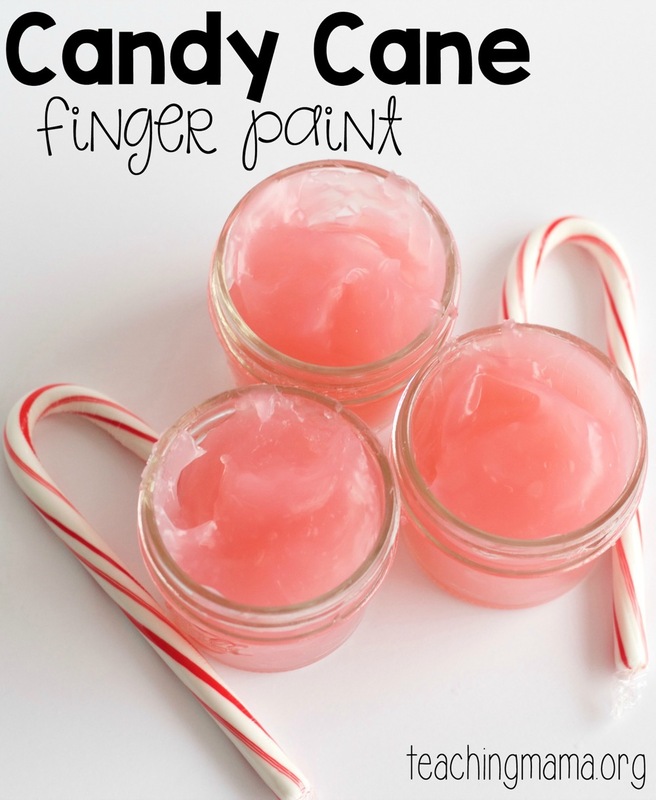 This candy cane finger paint smells minty and is a fun to play with! 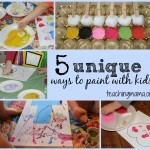 This activity is ideal for toddlers and preschoolers. The focus of this activity is to enjoy the process of creating and to engage the sense of smell and touch. Start by crushing the candy canes. I put my in a food processor, but you could also crush them in a bag using a hammer. 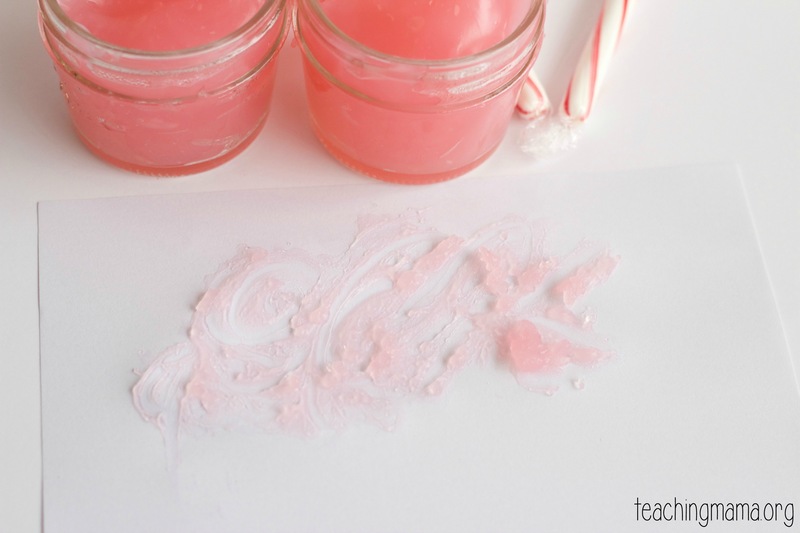 Place the 5 tablespoons of candy canes and 1 cup of cornstarch into a pan. Mix them together. Add in the 2 cups of water and pinch of salt. Then turn the stove on medium heat. Stir frequently so the finger paint doesn’t get clumpy. It will take 10-15 minutes to start getting thick. As soon as you see it getting thick, remove the pan from the stove and transfer it to a bowl or jars. (Do this part quickly so that the paint stops cooking, otherwise it will be too thick.) It is important to make sure you don’t overcook the finger paint. If it cooks too long, it won’t be very fun to play with because it is too thick. Let it cool before playing with it. 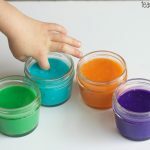 So what can you do with this finger paint? 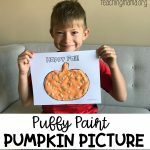 You can simply let your kids play with it and have them create art on paper. It is a light color, but you could add in food coloring to make it darker. 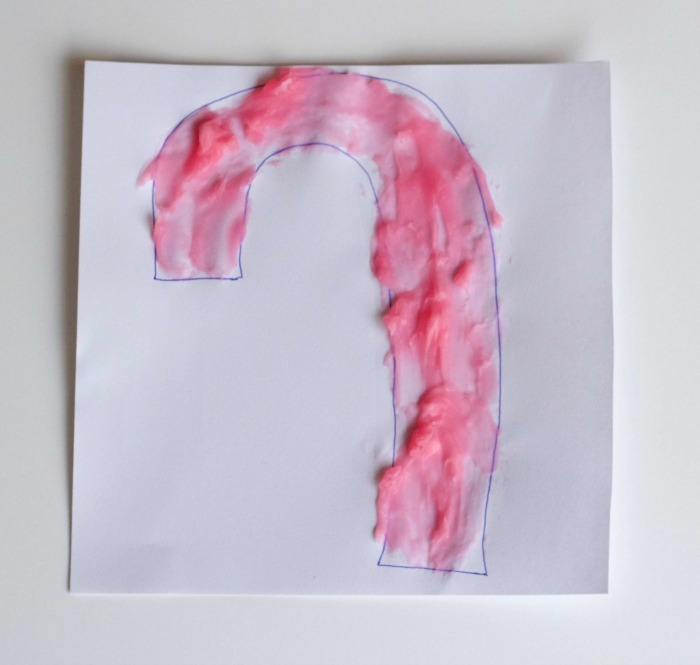 I think this is a great activity for toddlers because they aren’t into making something perfect and it’s a wonderful way to encourage process art. You could also draw a design onto the paper and have your child fill it with the paint. 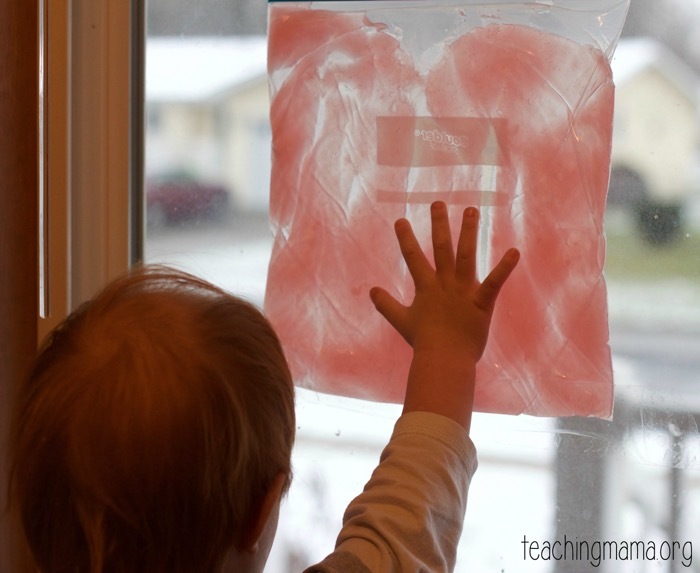 If you have a child who doesn’t like to touch slimy things, you could place the finger paint into a big plastic bag, seal it shut, and tape it to a window. Then your child can make designs or squish the bag around without touching it. 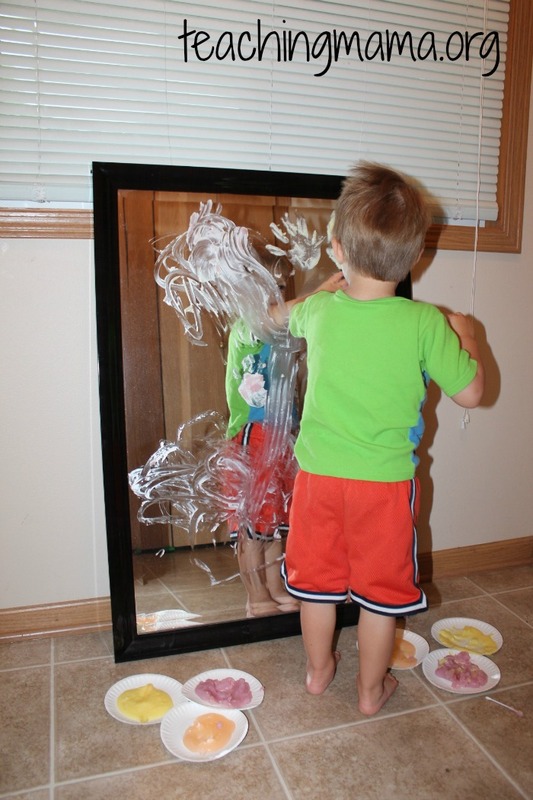 Or you could have your child paint a mirror with the paint, like we did with this Skittles finger paint activity. 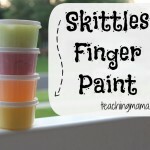 There are many things you can do with this finger paint. If you have an idea for it, I’d love to hear it! 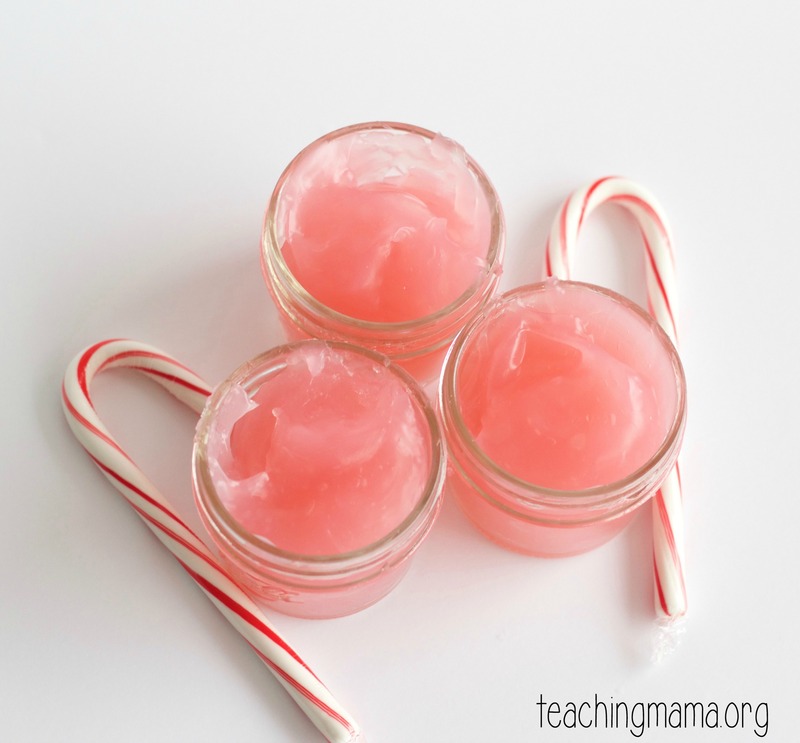 I also want to add that if you didn’t want to go to the trouble of crushing candy canes, you could use peppermint oil and 4 tablespoons of sugar instead. 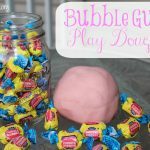 Hope you’ll try this FUN activity out! !